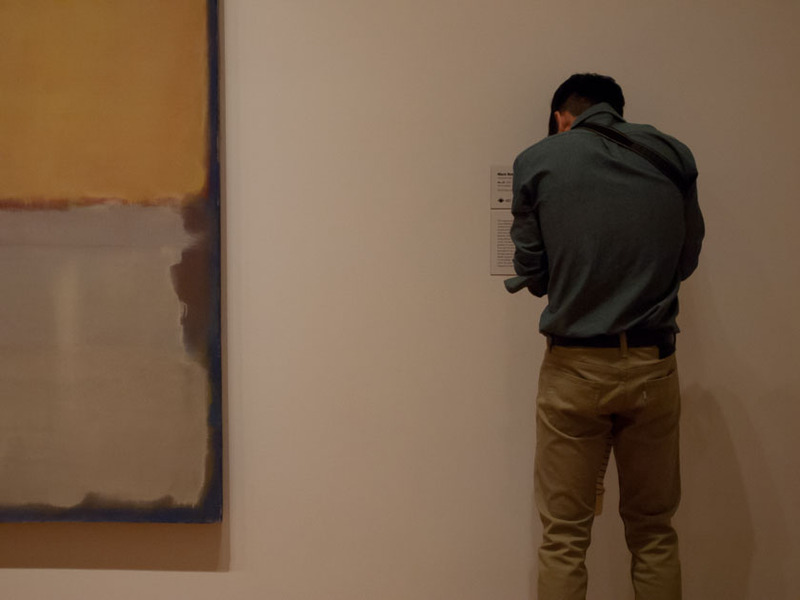 I was at MoMA last week, to see Abstract Expressionism New York before the show closed. I enjoyed the show, which was remarkable not least because most of the works shown were created within a few blocks of the Museum, and because so many of them wound up in the Museum. As I went through the galleries, I was struck by the fact that a lot of attendees weren’t looking at the art, but were engaged in reading exhibit labels, texting, or taking photos of the art works (or of the labels). Maybe it’s a function of our times, and of short attention spans, but I wonder if there’s something else going on. I met up with a group of fellow photographers in Rhode Island the other day. We try to get together monthly or thereabouts (easier for me when I lived in Rhode Island, more difficulty now that I’m in New York) to criticize each others’ work. And to drink a little wine. And, the other day, to sign some books of our works we collectively printed. In a conversation with Steve Mason, one of the group, he mentioned a museum and gallery tour he took last winter with a couple of photogs, during which one of the togs spent a lot of time sitting on a bench tweeting his whereabouts. When Steve later asked what the tog thought of the show (a great exhibit of platinum and other prints by Nick Brandt) the tweeting tog said “Nice.” When asked more specifically about subject matter and technique, he couldn’t answer, not having really seen the exhibit. As a creative, I find it hard to imagine not paying attention to the work of other photographers and to art in general. I want to know what’s been done in the past, and what’s going on now. I’m always looking for solutions to visual problems, for different approaches, for alternate points of view. So I’m puzzled by lack of attention on the part of others in my profession. I’ve been in a couple of meetings (only a couple—on average I seem to hang around a nice class of art buyers and photo editors) in which the person with whom I was to have been meeting spent an inordinate amount of time texting, tweeting, or I don’t know what, but not present in any real sense. (My wife and I went out for coffee the other day, and a couple at another table were each on their phones for an extraordinarily long time, and we had to assume, with people other than each other.) What’s that all about? Part of the problem seems to be a basic lack of civility. Part seems to be short attention spans. But is anything else going on? Can we no longer be here now? 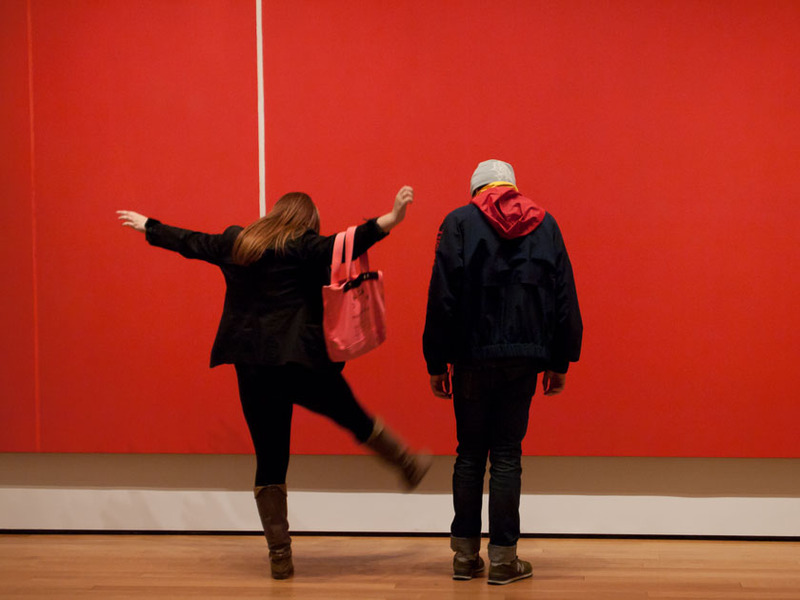 More photos of museum-goers at MoMA. German Expressionism, another exhibit well worth the effort, is on view until 11 July 2011. 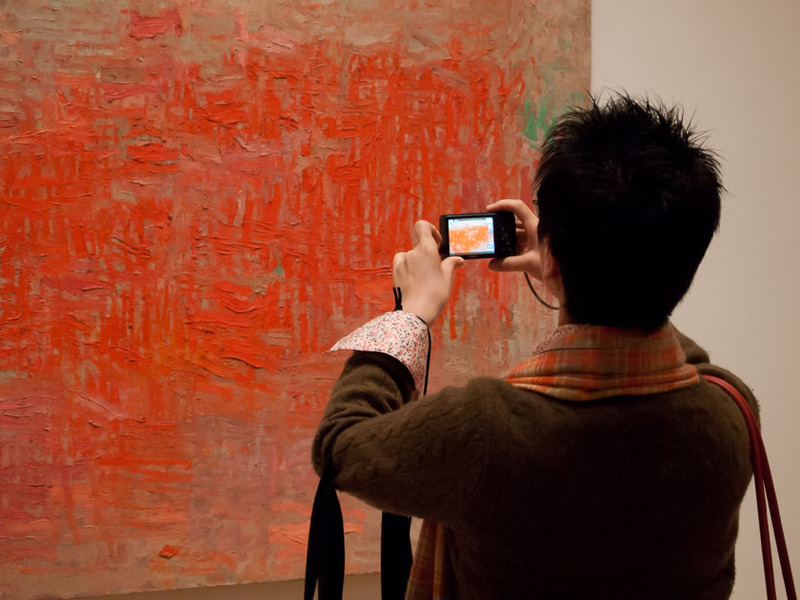 For the geeks: Photos at MoMA all taken with an Olympus E-P2, my current walking-around camera, with the kit 14-42mm lens. Noise cleaned up with the LR3 luminance slider at around 50.